Interchange, a new space for entrepreneurs, startups and creatives in the heart of Camden, is launching today to provide the ideal framework for growth and innovation. 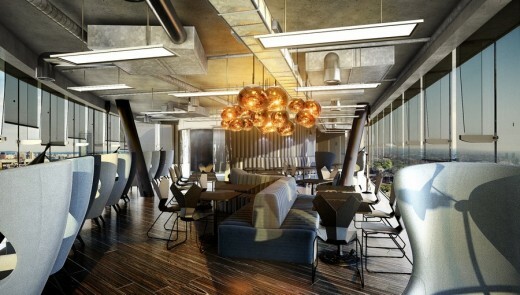 More than just a coworking environment, Interchange covers approximately 84,000 sq ft of space, and will offer a range of support and facilities such as an on-site gym, restaurant, bar and event spaces, and importantly will also provide access to affiliate investors and industry specialists. Interchange is spread over three sites; Atrium and Triangle, the primary Interchange locations are based in Camden Markets and will open from the beginning of October 2015. A further site, Utopia, situated in Primrose Hill, is available now and provides larger office space for growing and established companies. The interiors of the Camden buildings have been designed by Design Research Studio under the creative direction of Tom Dixon, the acclaimed british designer whose past work includes Shoreditch House and the Mondrian Hotel, London. 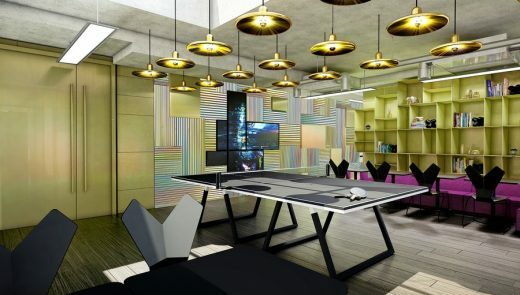 This is the first time that DRS and Tom Dixon have designed a coworking environment. The office and coworking space infrastructure, designed by leading architects Barr Gazetas, is focused on true community working through expert curation of complex floor plans and space use. Office space available will range from private offices for growing companies, to flexible desk space for entrepreneurs that can be rented by the day – all at competitive rates.